Uncategorized – Page 30 – Tekin – Smaller, Smarter, Faster! David Joor Dominates the first round of the RC Pro Texas State Series! The first round of the RC Pro Texas State Series held at Mike’s Hobbyshop in Porter Texas had some of the fastest drivers around coming to compete and kick off the series right! Eric Anderson kills ’em at the 2011 Mid West Grand Slam finale! The 2011 season finale of the Midwest Grand Slam series was held at R/Car Marion Fairgrounds raceway in Indianapolis, Indiana. It would be the final race of the season in the Midwest traveling race series. The format would be open practice on Friday, 3 qualifiers on Sat and 1 qualifier and Mains on Sunday. Arriving Friday night for a couple of hours of practice I noticed how great the facility was on my first trip there. James Reilly looked to be setting the fastest pace in stock TC in practice. After a few battery packs on the track with my Tekin powered T3’11 and XII 12th scale I felt like I was in good shape for Saturday. Arriving Saturday morning I decided to try some different tires in practice and they did not seem to be as good so back to Jaco blues for the rest of the weekend. After 1 round of controlled practice I was in the top 5 of practice times. In 12th scale I was in the top 5 as well in practice times going into the first round of qualifying. After the first round I as sitting 3rd in TC with some mistakes . In 12th scale I was in 7th and the car was not handling as I would like so I decided to make some major changes to it and skip the 2nd round of qualifying. In the 2nd round if TC I set fastest time to take the TQ and would keep it for the remainder of the event running faster in rounds 3 and 4. After some MAJOR changes to the 12th scale and a complete reconfiguration I sat the car down in the 3rd qualifier no knowing what to expect. What happened was I picked up almost 2 complete laps and TQ’d round 3 and held it throughout the weekend. Final Qualifying order would be: TC Stock Blinky. The mains were pretty clean and I was able to get a clean start in both to lead from start to finish and make it a clean sweep in both classes. The race was ran perfect all weekend and R/Car has a wonderful facility and I hope they have some more big races there! Thanks to Tekin, RCAmerica, Xray , and Hudy ! 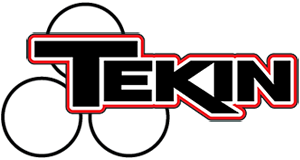 Tekin Kills ’em at the 2011 RC Pro Series Cabin Fever supercross! This year’s Cabin Fever was held at Lucky Acres Arena in Lewiston, ID on February 11, 12 and 13. The race had an amazing turnout this go around, topping out at over 230 total entries, with Nitro Buggy and Truggy, Electric Buggy and Truggy, 4WD and 2WD Open Short Course and 4WD Modified Buggy all jam packed with competition. 1/8 E-Buggy is getting bigger in the North West, with enough racers to fill up three full mains at the Cabin this year. Tekin’s newest Driver, Taylor Petersen debuted the new Mugen MBX6e ECO powered by a Tekin RX8/2050 T8 combo, who would snag TQ followed closely by Tekin’s Jeremy Potter and his Tekin RX8/2050 T8 powered Hot Bodies Ve8. 1/8 E-Truggy is also growing and the TQ spot would be grabbed by none other that the Prez himself, Jim Campbell, followed by Tekin’s Chris DeWinter in the #2 spot and Ty Campbell in the #3. 4×4 Short Course this year was also a sizeable class with three full heats. Team Driver Jack Leighan came out on top with the TQ spot after qualifying with his Tekin Powered Jammin’. A1 and A2 were both solild runs for Jack and he locked up the top spot early, which let the other drivers fight for the A3 main. 2WD Open Short Course had outstanding entries with 45 trucks. Team Associated’s Justin Wilde and Tekin’s Ty Campbell battled it out in quals for the pole with Justin snagging the TQ spot in the 3rd qualifier with Ty close on his heels. Short Course was stacked with great drivers and the competition was intense. A1 main was a great battle between Ty and Justin Wilde, finishing with Justin in front and Ty just .9 seconds of his bumper. A2 started a little more hectic with Ty getting punted in the first corner and dropping to 5th which let Justin and Tekin’s Jesse Munn get out in front of the pack. Ty fough back to 3rd but there was no catching the two out front and Justin locked up A2. The final main was a good one, Ty got out clean and never looked back, which secured 2nd place with the win in A3 while Prez snagged 2nd to secure 3rd overall. With triple A-main format, it was totally up in the air who would land with the two, or in Taylor’s case, three best runs! Taylor brought the heat in E-buggy to win all three A-mains and bring home some shiny hardware for Mugen and Tekin. Jeremy Potter claimed the 2nd spot and Team Losi’s Randy Nolen the third, all three podium drivers running Tekin RX8s and 2050 T8 motors. Tekin’s Jason Hunt finished Ty and Prez finished 6th overall and 7th overall. E-Truggy was a fight to the finish in each main, with the Prez cleaning up in A1 and Ty taking the 2nd spot. A2 switched it up a bit with Ty taking the win, followed by DeWinter in the number 2 spot and Prez in the 3. It was all or nothing in A3 between father and son! Both were off to a great clean start and proceeded to pull away from the pack, putting almost an entire lap up on the field and would finish with the Prez taking A3 and the overall with Ty right on his wing the entire race! Just as last year, the Cabin was well ran, a great track layout, the surface was premiere and the racing was awesome. Dude and the RC Pro Series threw a great event that is getting bigger every year. Only 360 days til the next one! Brian Sullivan Tq’s and Wins at the Grass Roots Series. 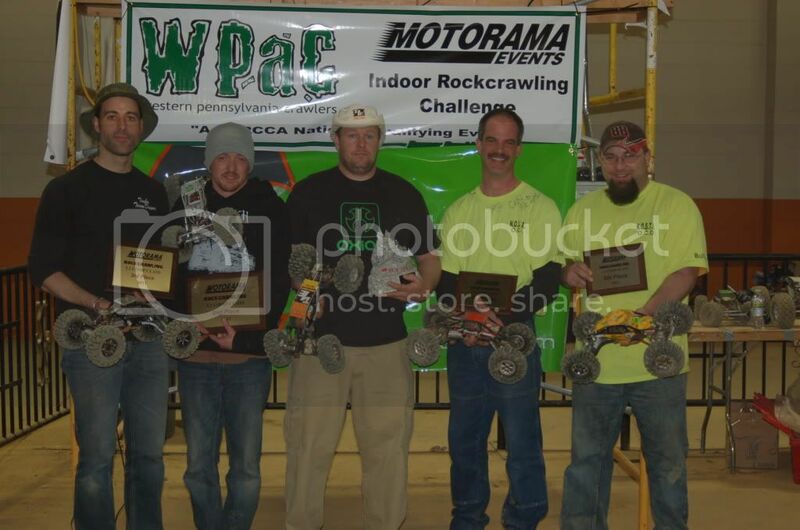 Brian Sullivan Tq’d and won the 4wd “Pro 4” Short course class with his Tekin SC4x 4.5 powered ride. Brina also finished 5th in 1/8 E Buggy!